The highlight was this door. Thanks to Paul Otter for emptying the contents of my van and then reloading as it should be done! 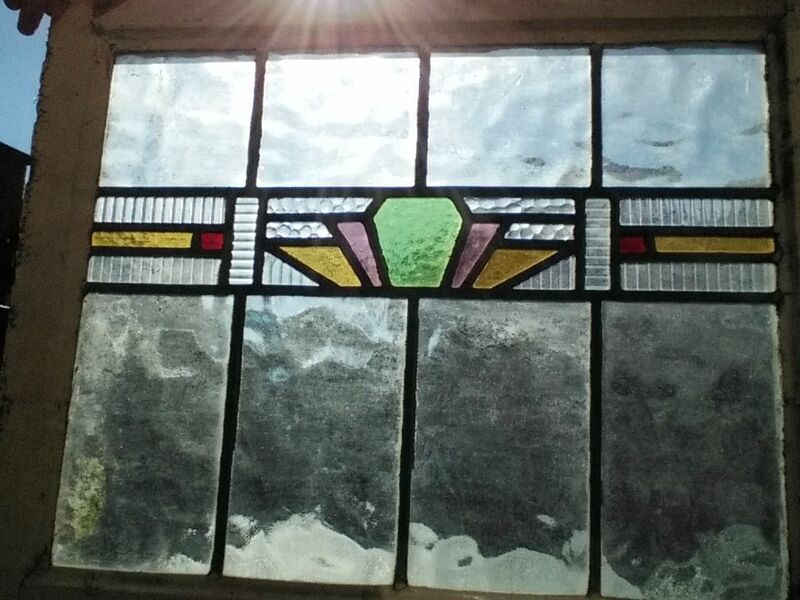 I thought I’d use my first blog post to give an idea of the lengths I go to when buying and selling beautiful reclaimed leaded stained glass, and offer a sneak preview of new stock. Next week I am doing a 600 mile round trip. The theme is very much art deco sunray! I am collecting this treasure from a man in Bristol who, God knows why, has ripped out of his house and these gems in Liverpool reclaimed by a window fitter. I am excited to be acquiring my first round window. It has two broken fragments which I will have repaired. 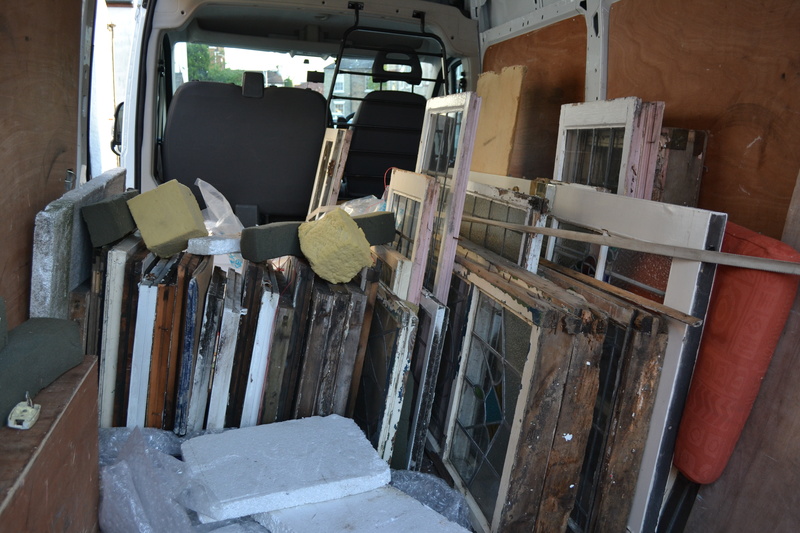 I’m also delivering this window to a retired lady in Sheffield who restores houses. I had 16 of these windows to start – they are proving to be my most popular top lights. From a house in Leigh-On-Sea, typical of seaside houses where the toplights are this size and of such intricate beauty.